"There are long queues outside the polling stations... Why such big glitches? The Election Commission must urgently take steps," the Congress leader Kamal Nath tweeted. Congress state unit chief Kamal Nath on Wednesday requested the poll panel to quickly replace all faulty EVMs and VVPAT machines after 100 complaints were received within the first hour of polling in Madhya Pradesh. "There is a large number of EVM machines not working properly, we have information from across the state... This is affecting voting. "There are long queues outside the polling stations... Why such big glitches? The Election Commission must urgently take steps," the Congress leader tweeted. Chief Electoral Officer for the state V.L. Kantha Rao said that complaints of faulty EVMs and VVPATs were received and many were replaced within the first hour itself. In Ujjain, two faulty electronic voting machines (EVMs) and 11 Voter Verifiable Paper Audit Trail (VVPAT) machines were replaced by the Election Commission officials. 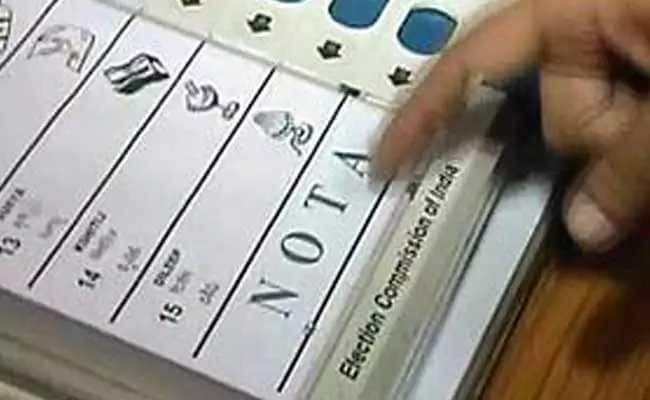 In Bhuranpur constituency, five VVPATs and two faulty EVMs were replaced by 9 a.m. Taking note of the faulty EVMs, senior Congress leader Jyotiraditya Scindia, who cast his vote in Gwalior, tweeted: "There have been reports of the faulty EVMs from across the state. In democracy, vote is the voice of the people -- it is worrying that an effort is being made to suppress it. "I request the Election Commission to immediately take notice of this and ensure that the polling takes place in a fair manner without any hurdles." Polling began at 7 a.m. in three Maoist-affected constituencies in Balaghat district, while votes were cast for the remaining 227 assembly seats starting 8 a.m.